Whichever camera you’re using, there is a range of techniques to capture movement effectively, add creativity and convey a story through your photos. Canon tutor, Brian Worley explains how to get the most from your camera. He also reveals useful tips for shooting with your LEGRIA and explains how you can print dynamic, movement-filled images using your PIXMA printer. Capturing moving subjects also means you need to use the appropriate autofocus modes. Often it’s a wise idea to use continuous drive mode to allow a sequence of images to be captured quickly. How movement is captured in your photos depends primarily on the shutter speed you select. Faster shutter speeds will freeze motion while slower shutter speeds will result in movement being captured as a blur. However it is important to select shutter speeds in relation to the speed of your subject. It takes a much faster shutter speed to freeze the movement of a racing car than a person walking. The time that the shutter is open is measured in seconds, or more often, fractions of a second. If the shutter is open for a shorter period of time the camera will record a moving object as if it is frozen in time. The shutter speed can be chosen when your camera is set to Shutter priority mode (Tv) and also in Manual (M) mode. Turn the camera mode dial on your EOS DSLR to Tv mode (or M) then use the camera’s main control dial next to the shutter button to select your chosen shutter speed. Fast shutter speeds are typically 1/500th of a second or faster. EOS cameras may have shutter speeds as fast as 1/4000s or even 1/8000s. If the intent is to capture subject movement as a blur then slow shutter speeds are needed. Slow shutter speeds typically start at 1/30th of a second though EOS cameras can offer shutter speeds of up to 30 seconds. Sports mode, found on EOS and many other Canon cameras, is ideal for freezing the movement of fast action and sports photography automatically. It changes the default setup of the camera; optimising it for freezing movement, tracking moving subjects and continuous shooting. When shooting distant subjects, longer focal length lenses are often used for fast moving sports. Selecting Sports mode means your camera will automatically optimise chosen shutter speeds for the lens being used. When using Sports mode the camera will not lock the focus when the shutter is half-pressed. Instead it will track the subject as it moves closer, or further away, and as it moves around the frame. To ensure your camera optimally tracks your subject it is best to try and place the subject in the center of the viewfinder frame to start with. It also helps to start tracking well before the subject reaches the ideal placement in the scene. 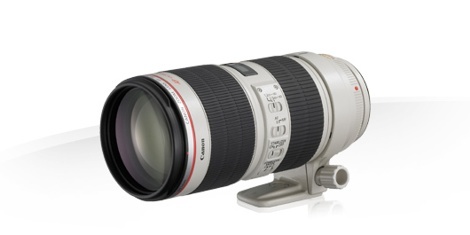 Longer focal length lenses are ones that capture images with a narrower angle of view than a human eye. 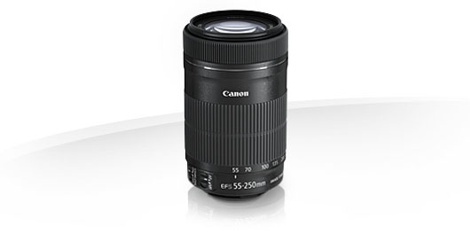 These lenses are commonly used for sport and wildlife photography. Lenses with longer focal length make distant subjects appear larger in the frame and allow you to get closer to the action. 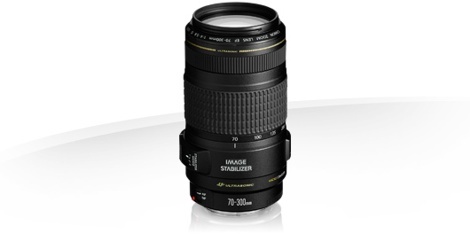 Lenses with a focal length greater than 70mm are long or telephoto lenses. Select the high-speed continuous drive mode to set the camera to take a sequence of pictures whilst the shutter is held down. Use large capacity memory cards with fast writing speeds to ensure that the camera can take more shots in a single burst. Set the camera to shoot JPEG images for the longest continuous burst of pictures. Following your subject with your camera is called panning. It’s a skill that takes time to master, so try practising regularly. Cyclists can make useful moving subjects if you’re looking to sharpen up your skills. The ideal panning picture is captured when your camera moves at the same speed as the main subject so that it appears frozen and the background appears blurred due to the movement. If photographing vehicles the wheels will look in motion yet the vehicle will look sharp against a smoothly blurred background. Panning can also be used to capture a range of moving subjects such as cars at a racetrack. The combination of sharp car and blurred background gives a real sense of speed to the picture. For slower moving subjects try using Shutter priority mode (Tv) and select the shutter speed yourself. The effect involves zooming in or out while you take a photo using a long exposure, causing the shot to blur from the centre outwards. Select Tv mode on your EOS DSLR and choose a shutter speed of around 1 to 4 seconds. Zoom fully in and focus on your subject. Lock the focus by pressing the AF-on button on your camera. If you don’t have a tripod, lean against something to keep your camera steady. Now zoom out, without changing your focus, to the widest angle you want to capture. Press the shutter button and zoom in until the subject fills the frame again. Try to zoom as smoothly as possible. Shot a zoom blur image you’d like to share? Upload it to The Gallery. If you’re comfortable with the advanced features of your EOS, try experimenting with shutter priority (Tv) mode which can either freeze or creatively blur the movement of your subject. Manual exposure (M) mode will give you complete control of the exposure and is sometimes favoured by professional photographers. You’ll get the best results by trying a few settings out and seeing what works for your style of photography. You can pan in any direction – horizontal or vertical. It is best to start panning with the subject before your press the shutter button and keep moving for a little after the exposure has finished. This ensures you have a consistent speed of camera movement when taking panning shots. If you are using a lens with an Image Stabilizer it may not have the Mode selection switch, usually this means the lens will automatically detect the direction of panning and switch to Mode 2 IS automatically. A number of recent EOS cameras such as the EOS 7D Mark II and EOS 5D Mark III also include a multiple exposure function. This can be used in conjunction with the continuous shooting mode to capture multiple stages of action in a single frame. To make the best use of this in-camera multiple exposure it helps if the background of the scene is light if the subject is dark, or dark if the subject is light. Movement is not always about high-speed action; time-lapse photography captures a number of frames at regular intervals to give the effect of speeding up movement or time. Clouds will rapidly move across the sky when the time-lapse sequence is played back. In short time-lapse speeds up slow moving subjects and scenes. EOS Utility software can be used to take the time-lapse sequence of pictures at regular intervals by tethering your camera via a cable and controlling the shutter with your PC or Mac. A Canon Timer Controller TC-80N3 can be used with several EOS cameras to release the shutter at programmed intervals. The EOS 7D Mark II has an interval timer in the camera menu so you can set the camera to take pictures at pre-defined intervals.